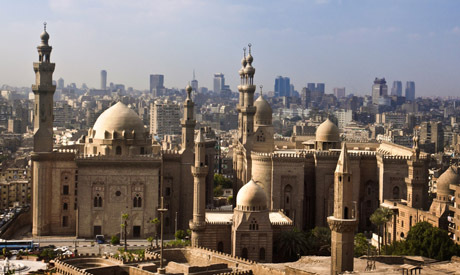 The UNESCO’s World Heritage Committee (WHC) praised on Tuesday the progress achieved by Egypt in preserving Historic Cairo, and proposed recommendations for the preservation efforts. In its annual report on the Urban Regeneration of the Historic Cairo Project (URHC) published on Tuesday, the WHC praised "serious steps" taken by Egypt to develop the area and "preserve its architectural and urban heritage." The WHC welcomed "steps that have been taken to start and plan a major [project to restore Historic Cairo] under the control of the Ministry of Antiquities and the scope of its urban, cultural, economic and social goals aimed at revitalising the old city structures, and a one-year work programme to undertake studies and define an overall master plan." The WHC report praised the progress carried out by Egypt "in conformity with the recommendations of the committee... in terms of putting in place both short and long-term measures to address the urgent problems facing the urban fabric of the old city and its socio-economic structures." The report also acknowledged efforts by Egyptian authorities to remove illegally erected structures in historic Cairo and raise awareness among local residents of the archaeological importance of the area. The WHC also welcomed proposals to put in place a new management structure for the URHC, which would include the formation of a new body that could be instrumental in driving the URHC Project forward. The committee recommended that Egypt give priority to the work of the URHC project "to achieve its goals and submit the draft master plan and establish benchmarks so that progress can be monitored and defined over time." Mohamed Abdel-Aziz, general director of the URHC, told Ahram Online that the Ministry of Antiquities is scheduled to submit an update report on the state of conservation in Historic Cairo for review by the WHC at its 43rd session in 2019. Abdel-Aziz also said that Egypt will invite a joint World Heritage Center and ICOMOS monitoring mission to view the progress on the project and the impact of recent administrative measures.